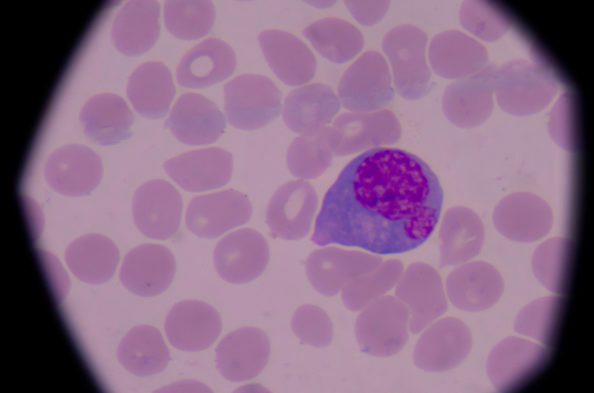 Researchers analyzed the outcomes of 67 patients with BCR-ABL1-positive CML in chronic phase who had an MMR on nilotinib twice daily and who then switched to a once-daily reduced-dose regimen. 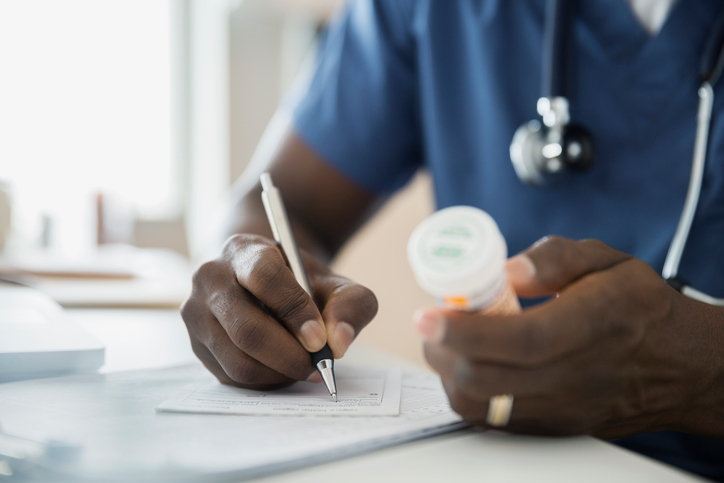 Standard nilotinib regimens involve twice-daily oral administration but present a barrier for therapy adherence because of the specificity of scheduling and dietary considerations. Once-daily dosing is recommended only for toxicity-related dose reductions. For the observational NILO-RED study, researchers analyzed the outcomes of 67 patients with BCR–ABL1-positive CML in chronic phase who had an MMR on nilotinib twice daily and who then switched to a once-daily reduced-dose regimen. The primary reasons for switching to reduced dose were non-serious adverse events (AEs) and patient convenience. The median duration of once-daily nilotinib was 24 months. At baseline, 13.4%, 25.4%, and 61.2% of patients had an MMR, MR4, and greater than MR4.5, respectively, and 47.8% of patients had undetectable levels of BCR–ABL1 transcripts. Two patients lost MMR after dose reduction, but spontaneously recovered it without any treatment modifications. Survival without MMR loss was 97.2% at 12 months, and a molecular response category analysis showed that no patients who were at least MR4 at baseline lost MMR. At the last follow-up, 6.3%, 16.4%, and 77.6% of patients had MMR, MR4, and greater than MR4.5, respectively; 55.2% of patients had undetectable BCR–ABL1 transcripts levels. Rea D, Cayuela JM, Dulucq S, Etienne G. Molecular responses after switching from a standard-dose twice-daily nilotinib regimen to a reduced-dose once-daily schedule in patients with chronic myeloid leukemia: a real life observational study (NILO-RED). Oral presentation at: American Society of Hematology 59th Annual Meeting & Exposition; December 9-12, 2017; Atlanta, GA.